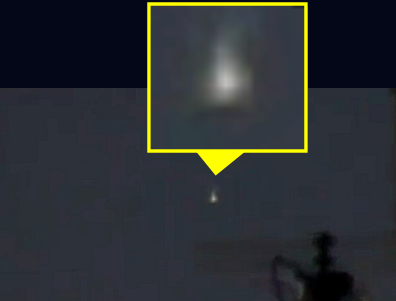 A MYSTERIOUS light that defies explanation has been caught on video in Toowoomba. Rod Bishop was testing his newly-purchased three-ccd camera outside in Newtown when he saw the light in August. He was sitting on his verandah in Tor St looking east just before 6pm when the strange white light appeared. The light appeared to plummet out of the sky, at one point banking sharply to the right and then left. At first Mr Bishop thought it was a satellite, but his experience in astronomy led him to believe that it was neither a satellite or aircraft.